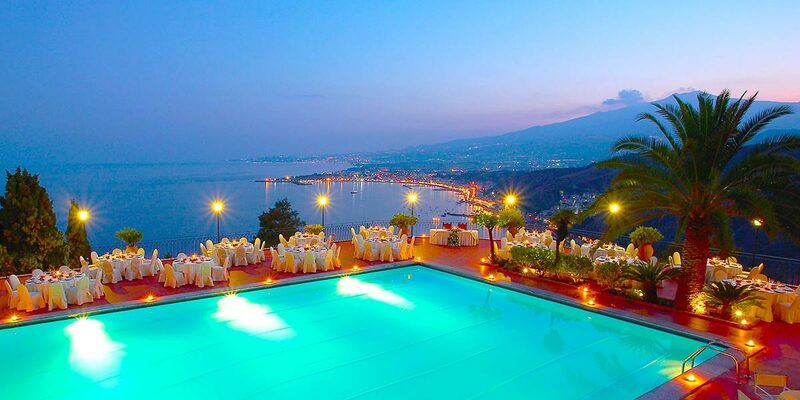 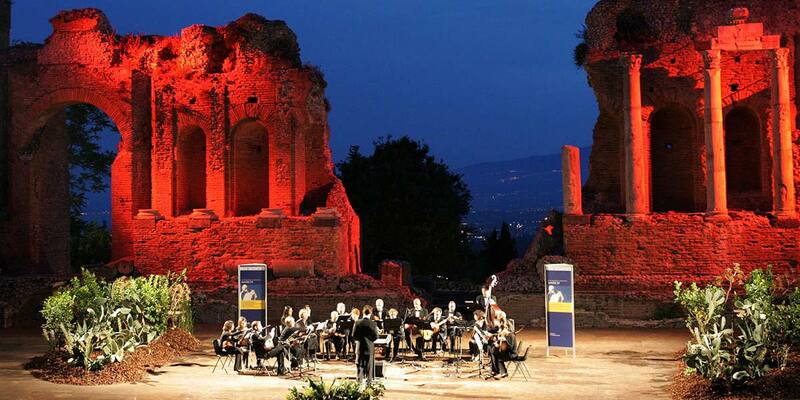 Hotel Villa Diodoro is an incredible venue, located on Taormina's cliffside. 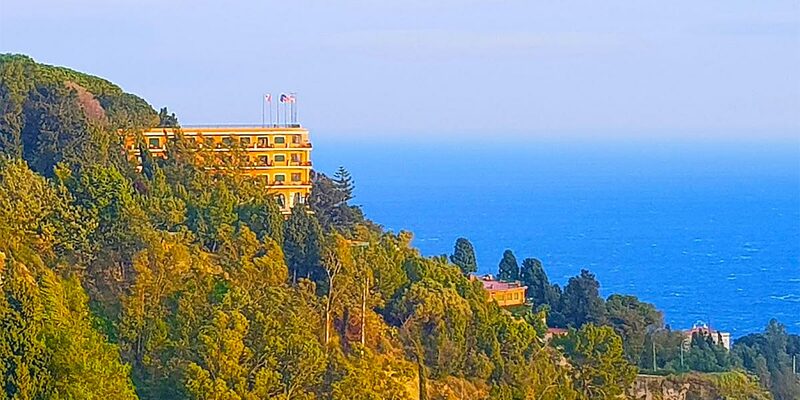 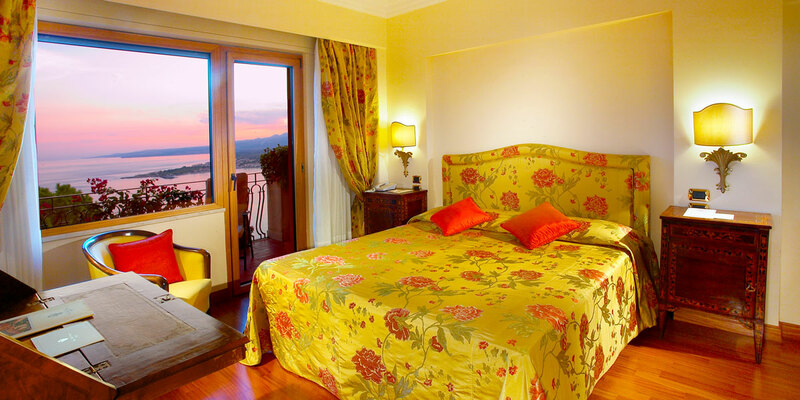 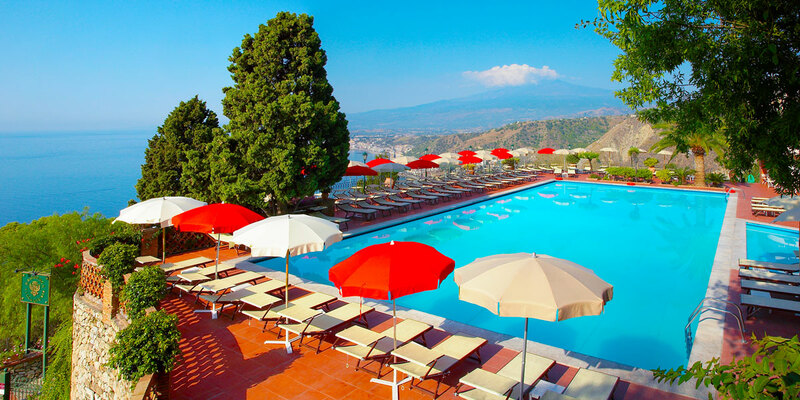 Diodoro has commanding views of the Ionian sea, just a few steps from the heavenly town of Taormina, in Sicily. 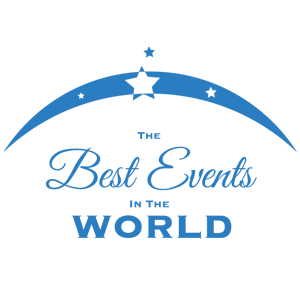 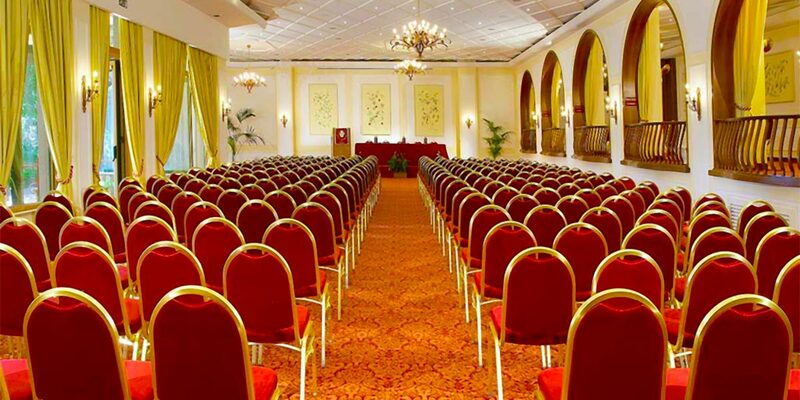 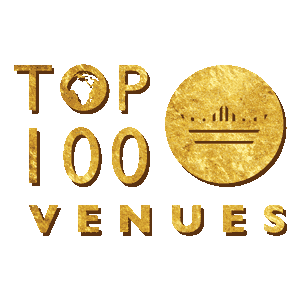 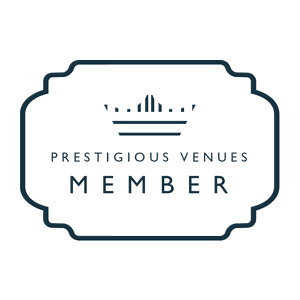 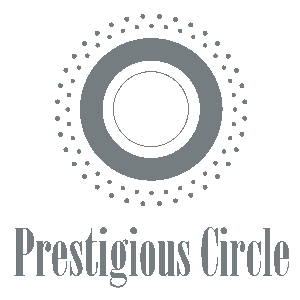 This venue offers majestic event spaces for conferences, meetings, networking and corporate events. 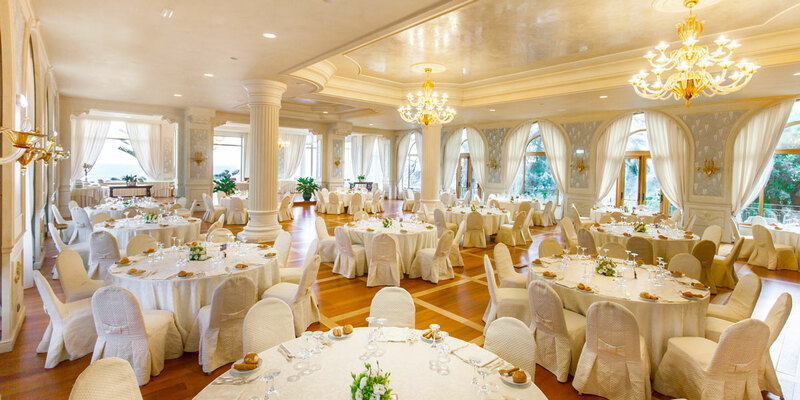 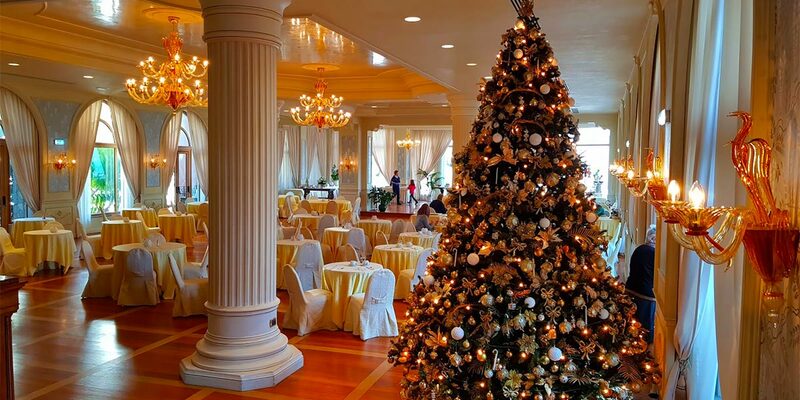 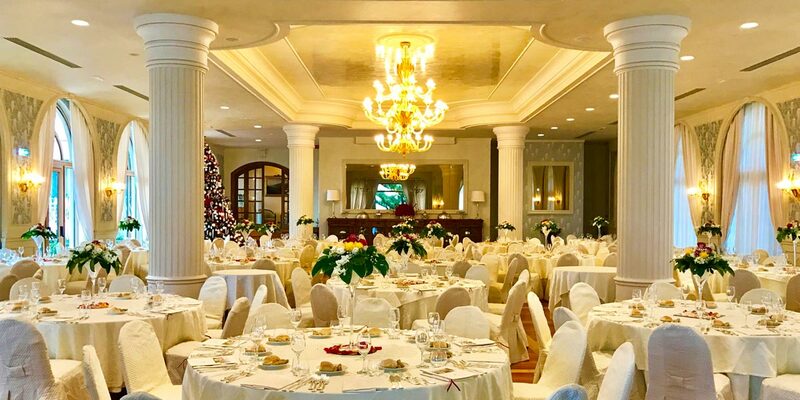 Hotel Villa Diodoro's event spaces are also perfect for grand weddings and gala dinners. 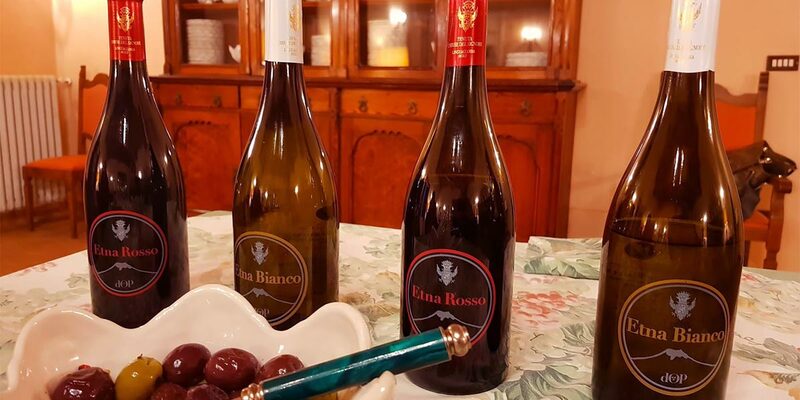 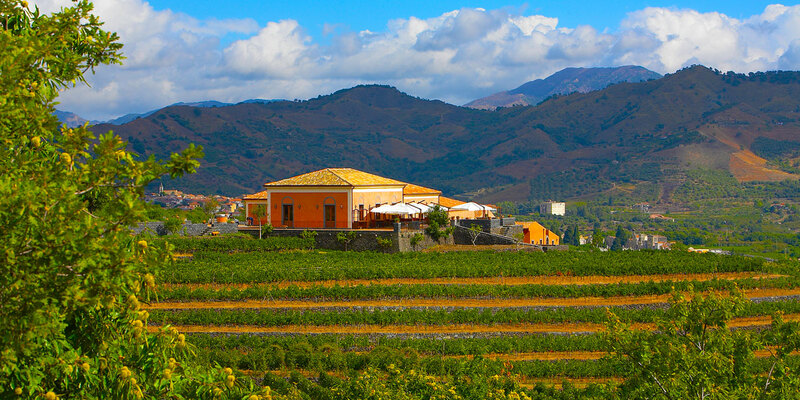 The Diodoro estate, part of Gais Hotels has its very own vineyard 'Tenuta winery' located a few miles away at the base of Mount Etna. 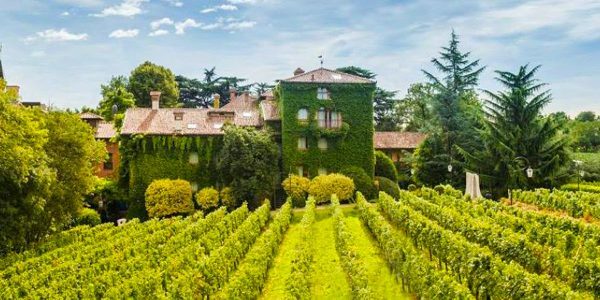 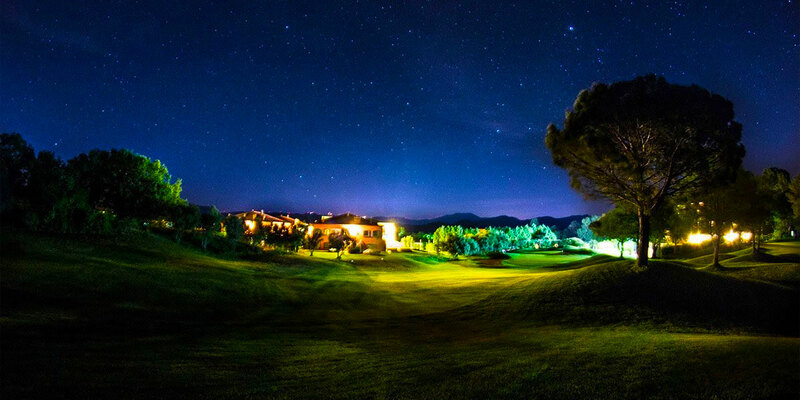 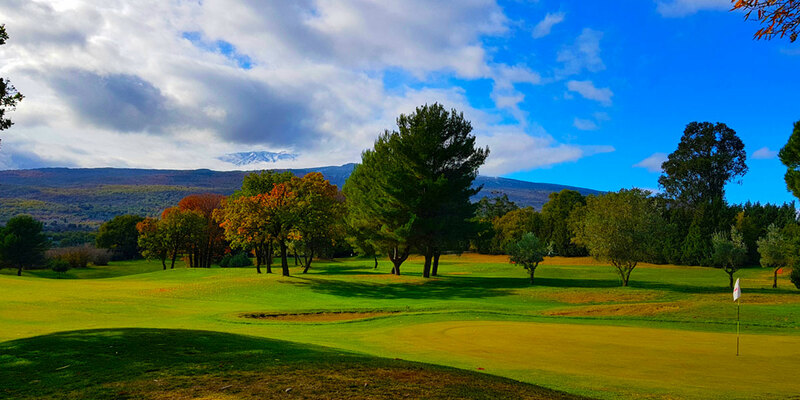 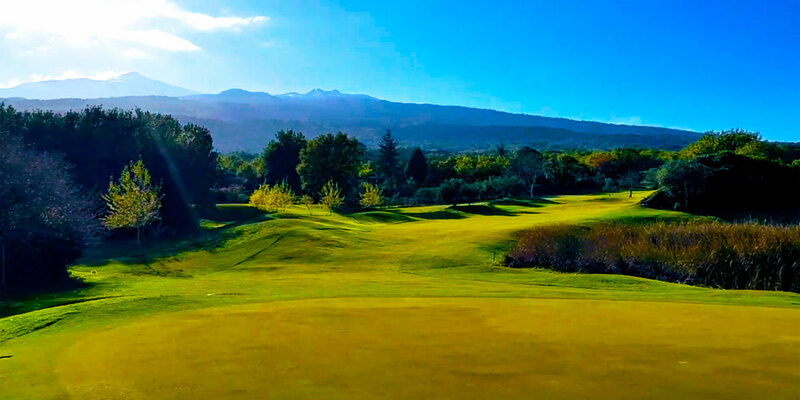 In partnership with the spectacular Il Picciolo Golf Club, the estate offers an 18-hole golf course set on top of a volcanic rock, only minutes from Tenuta winery. 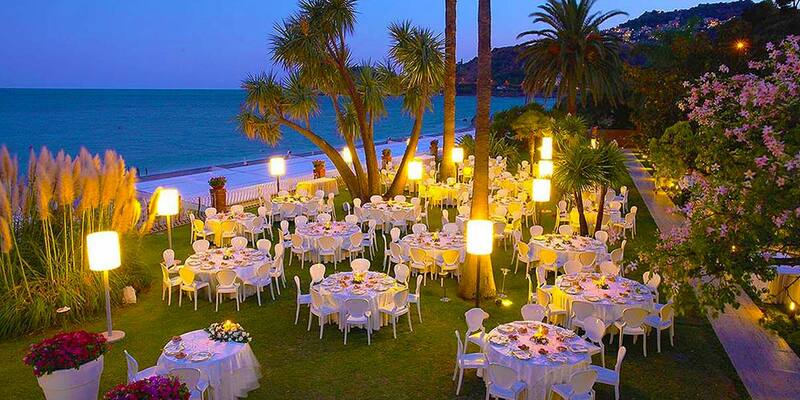 For events on the beach, you can request the beach terraces of Diodoro's sister hotel, Caparena. 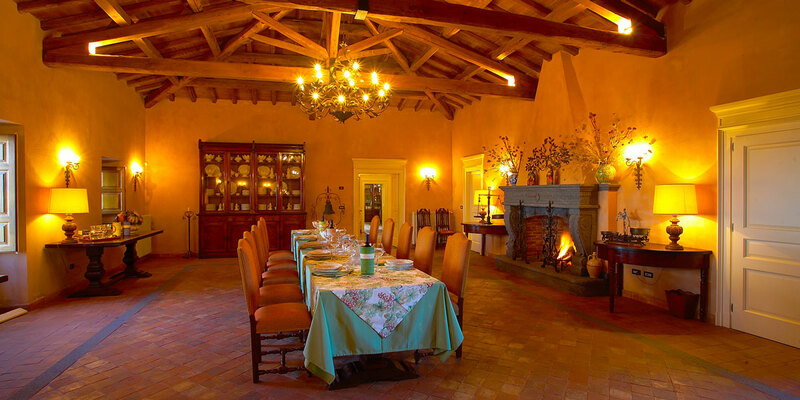 In brief, the Diodoro and its vast estate offers a unique world of its own for extraordinary occasions. 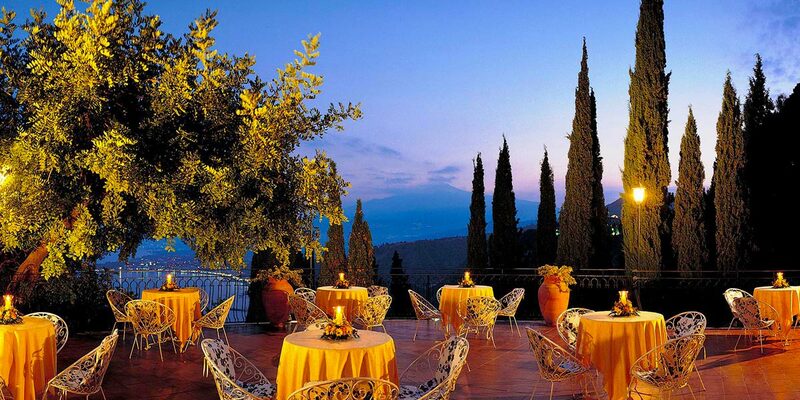 Spectacularly perched on the side of a mountain, Hotel Villa Diodoro is a place for those who enjoy the finer things in life. 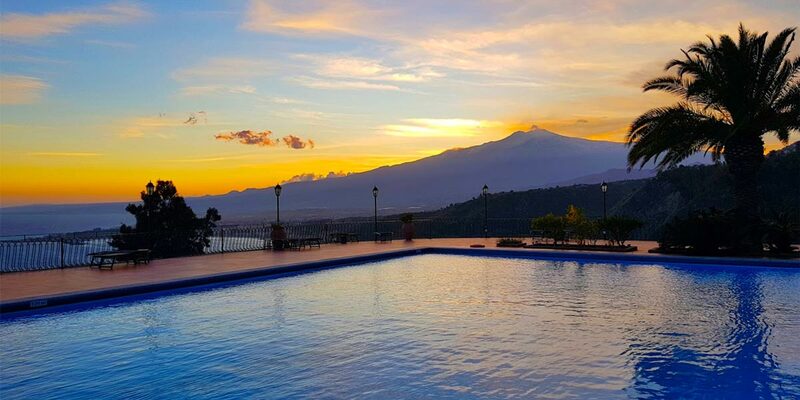 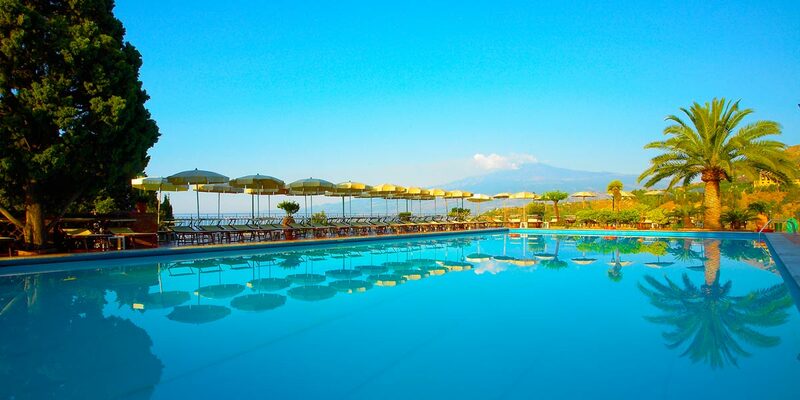 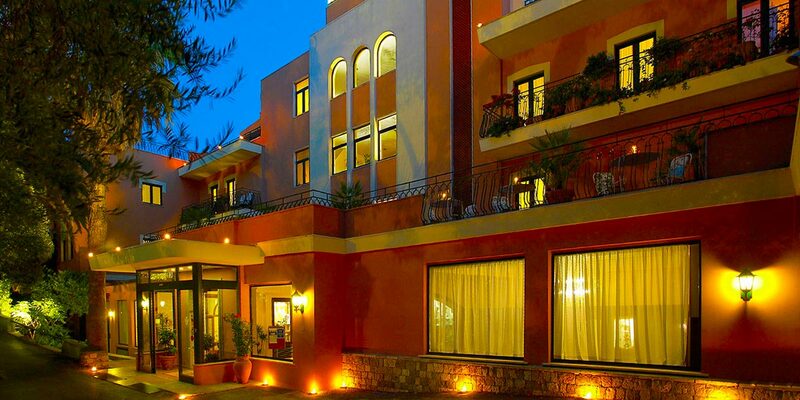 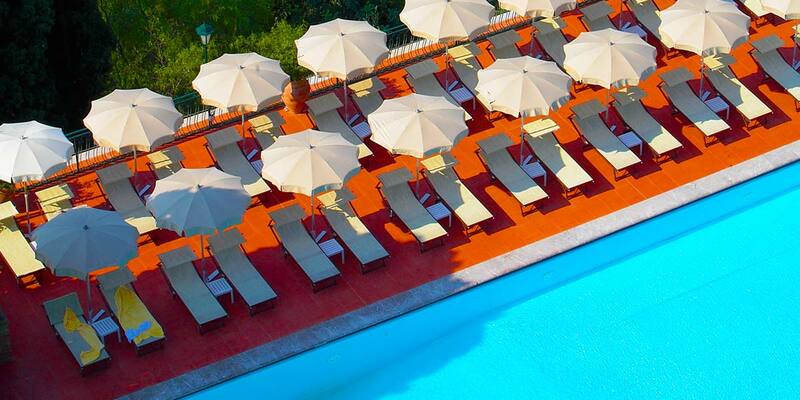 Located just a few steps from Taormina town, the venue boasts uninterrupted views of Mount Etna and the bay of Naxos. 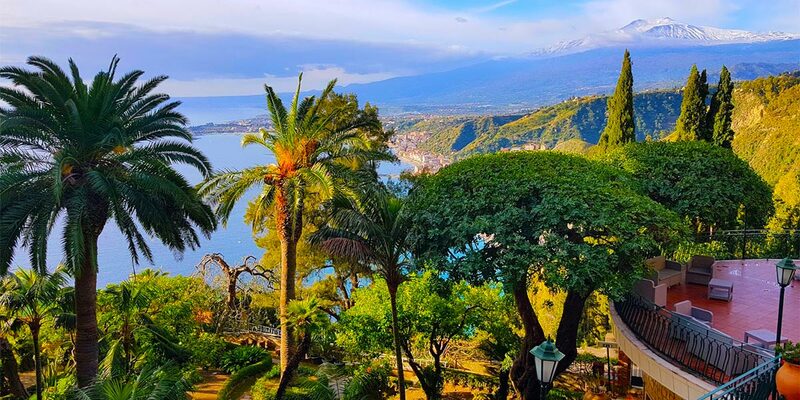 Taormina is one of Sicily's most popular summer destinations, known for its warm climate, magnificent views and vibrant cultural scene. 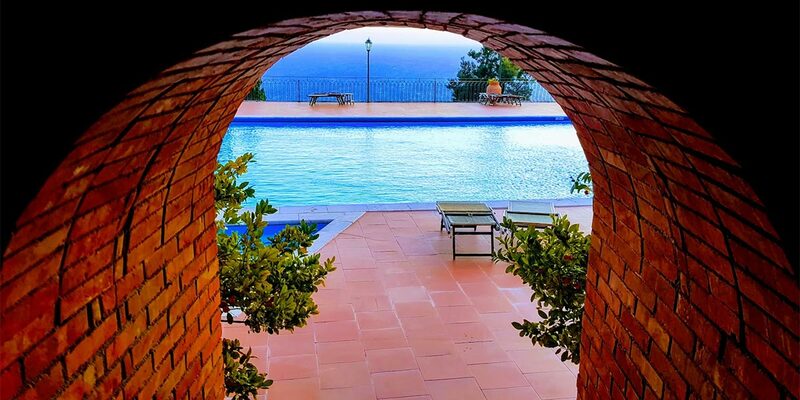 Hotel Villa Diodoro's crowning glory is its magnificent pool area which juts out from the cliff, creating an illusion of floating. 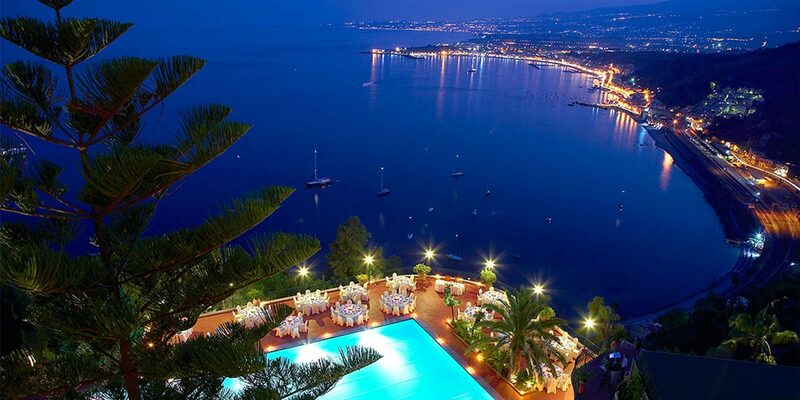 The Pool terrace, immersed by the astonishing blue of the sky an sea, is perfect for parties, romantic celebrations and reception events. 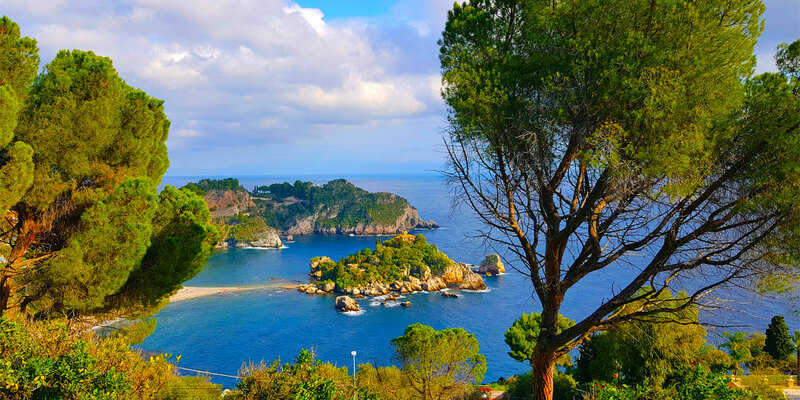 About 250 metres further down the cliff, are a series of sandy beaches and small islands. 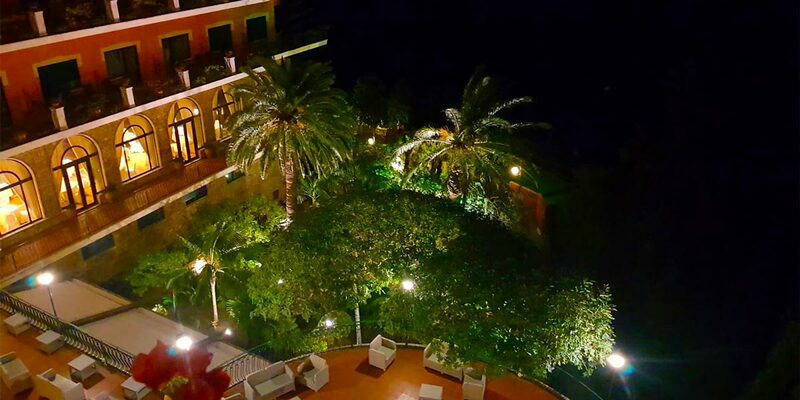 These include the magical Isola Bella, known as the pearl of the Ionian Sea. 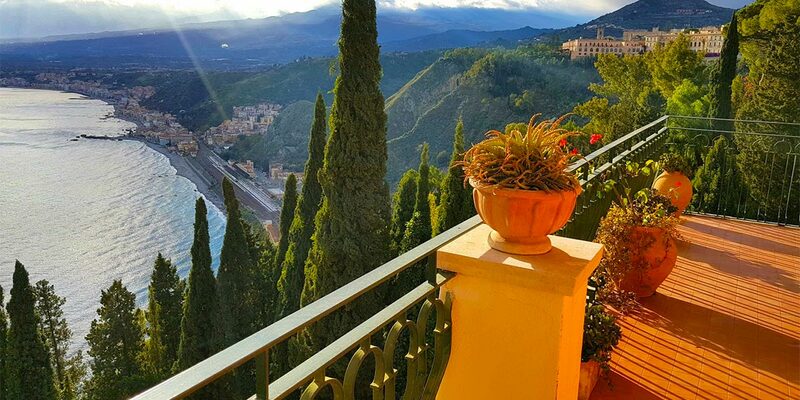 During the summer months, the hotel's terraces are transformed into charming outdoor dining locations that make the most of these views. 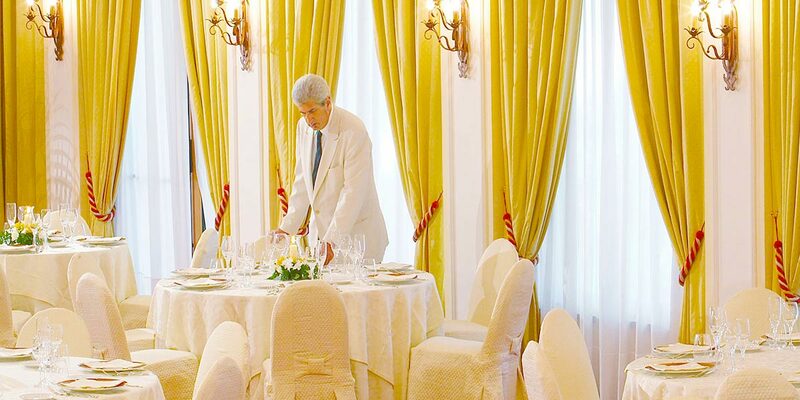 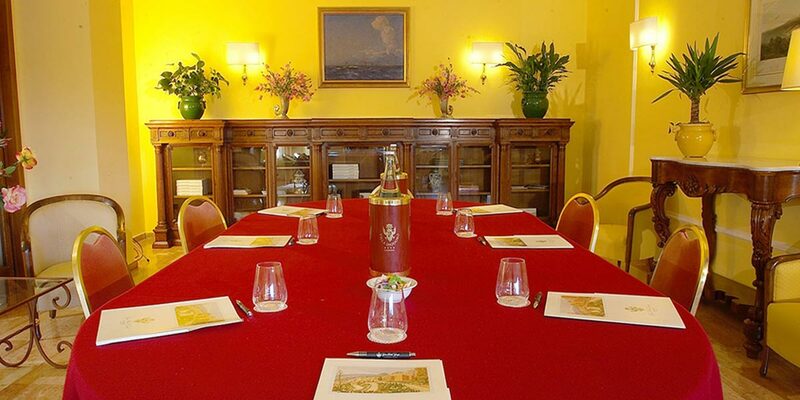 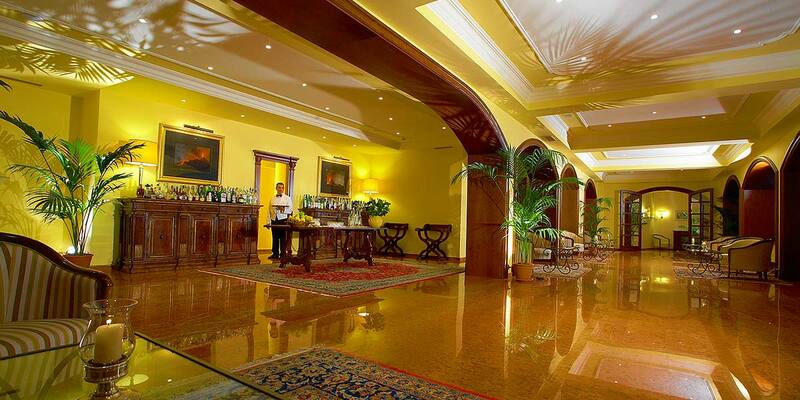 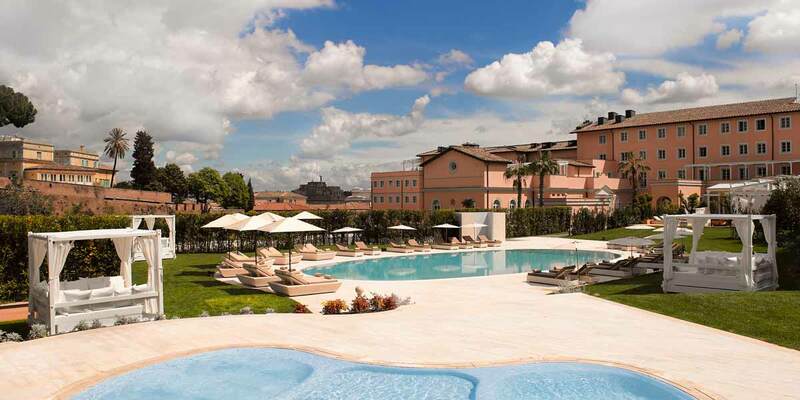 The Hotel Villa Diodoro event spaces offer a range of different locations for hosting memorable events. 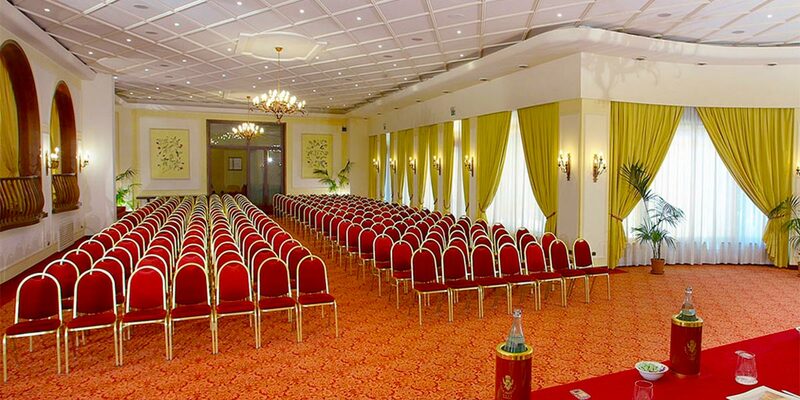 There are a number of large conference rooms that can accommodate up to 800 people. 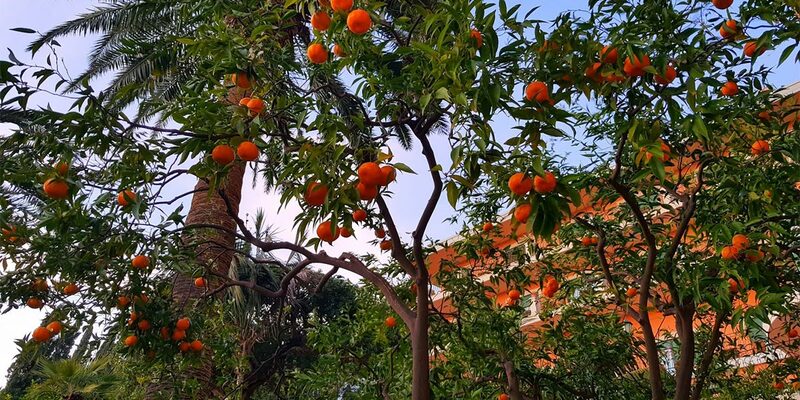 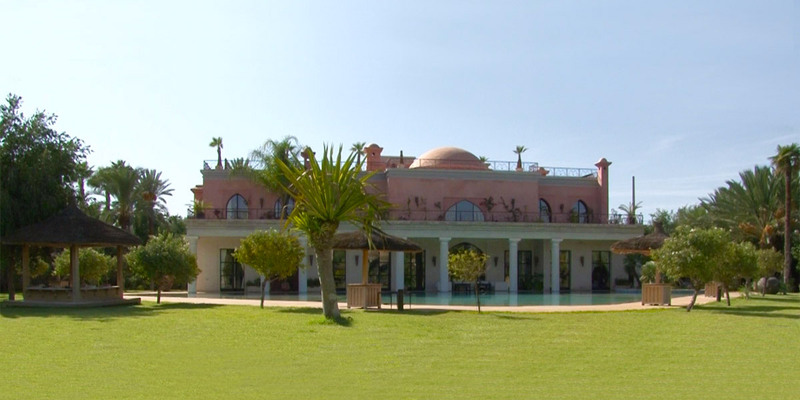 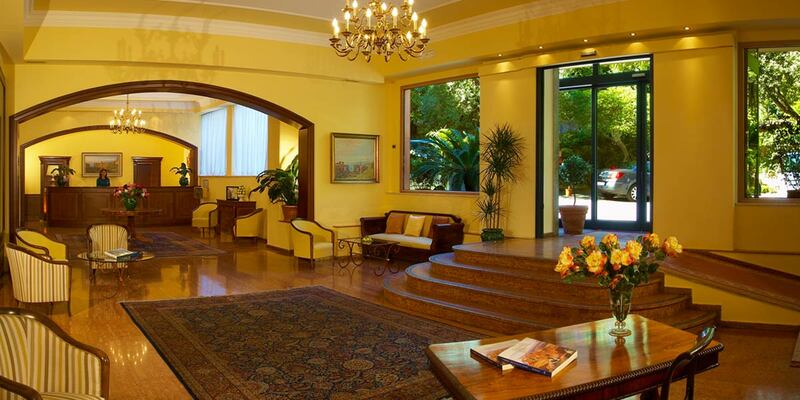 The two main conference halls enjoy views of the property's beautifully manicured citrus gardens. 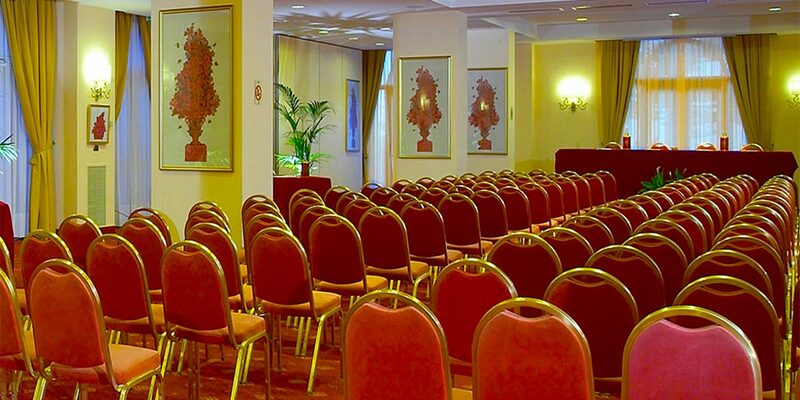 There are also a number of elegant meeting rooms, all of which are equipped for hosting smaller corporate events. 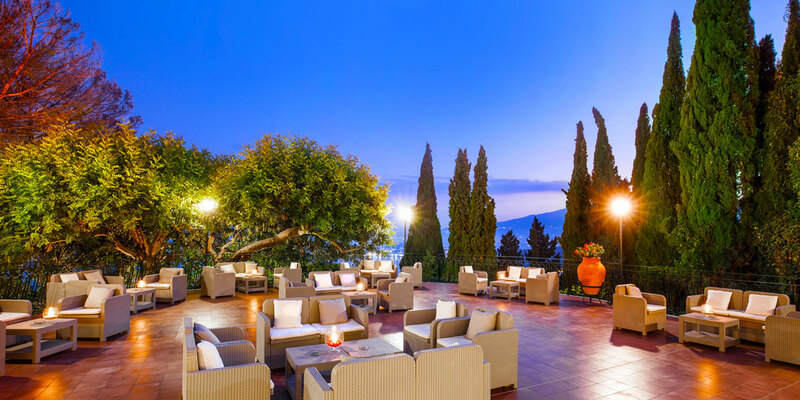 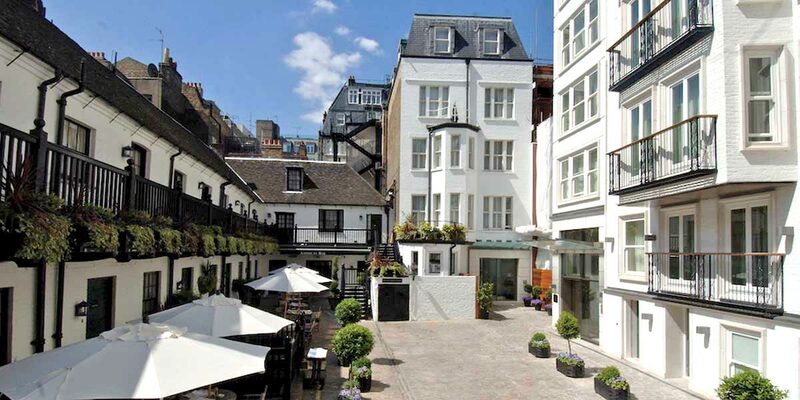 Adjacent to these are the panoramic outdoor terraces, which can be used for coffee breaks, networking and drinks receptions. 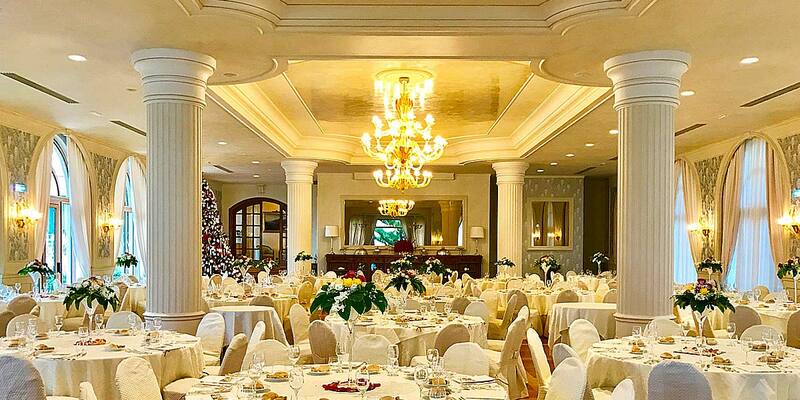 The Bella Vista dining room is ideal for memorable gala dinners and spectacular weddings. 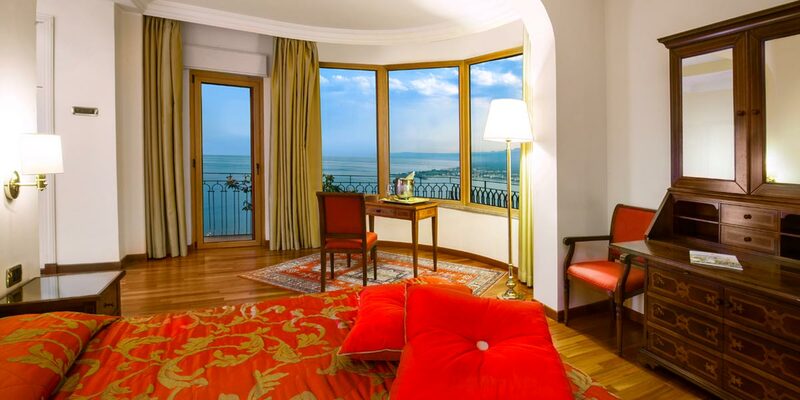 This grand space enjoys commanding views out across the bay and also has its own elegant outdoor terrace. 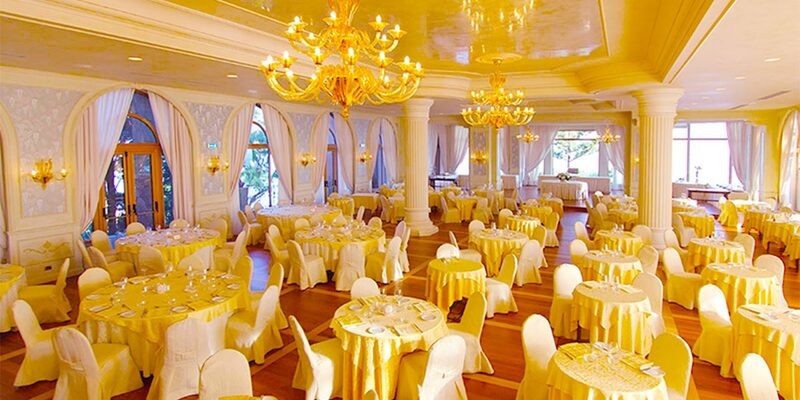 It is lit by magnificent glass chandeliers and supported by towering classical pillars. 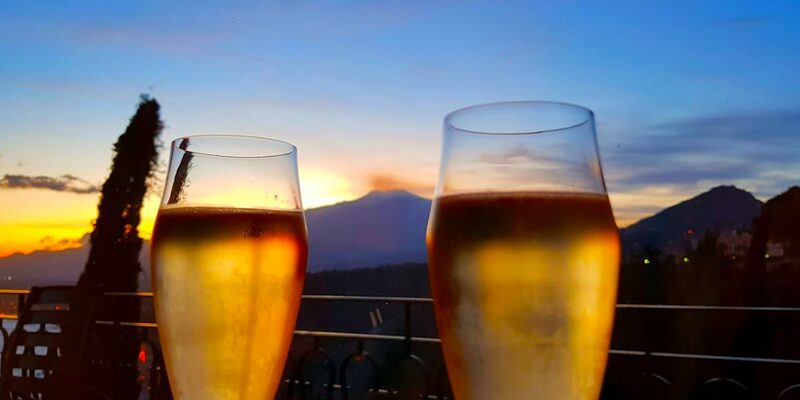 The Diodoro estate, part of Gais Hotels has its very own vineyard 'Tenuta winery' located a few miles away at the base of Mount Etna. 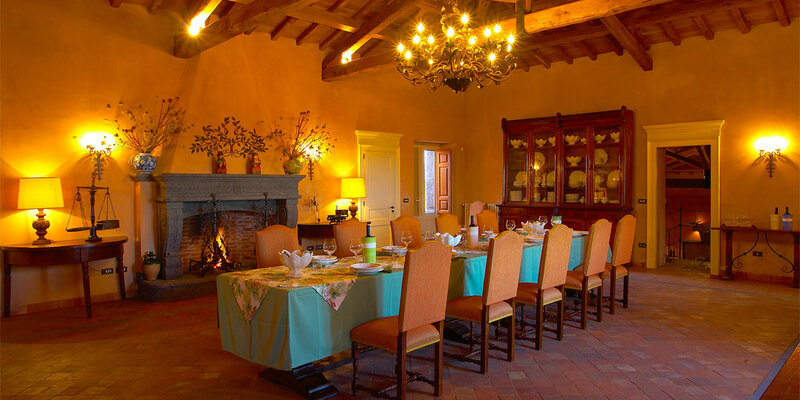 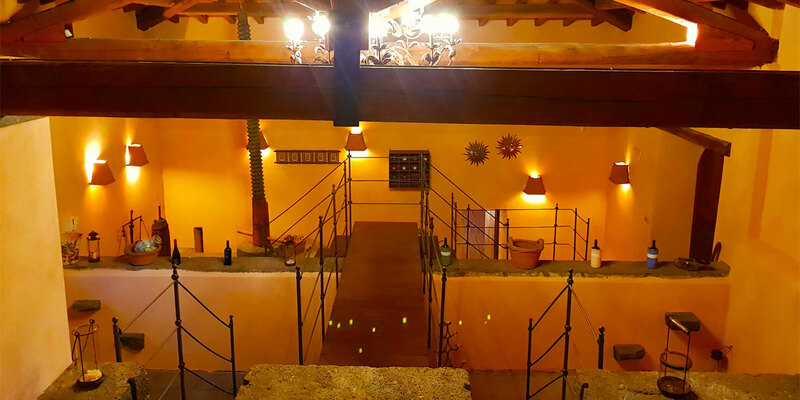 Guests enjoy unique wine tastings and tailored tours of the vinyard. 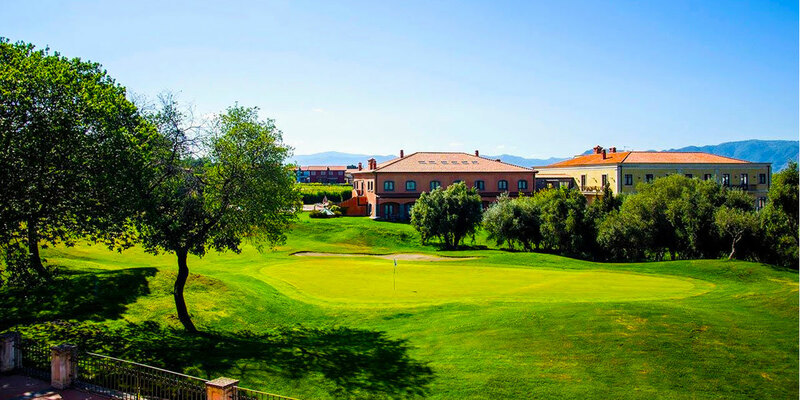 In partnership with the spectacular Il Picciolo Golf Club, the estate offers an 18-hole golf course set on top of a volcanic rock, only minutes from Tenuta winery. 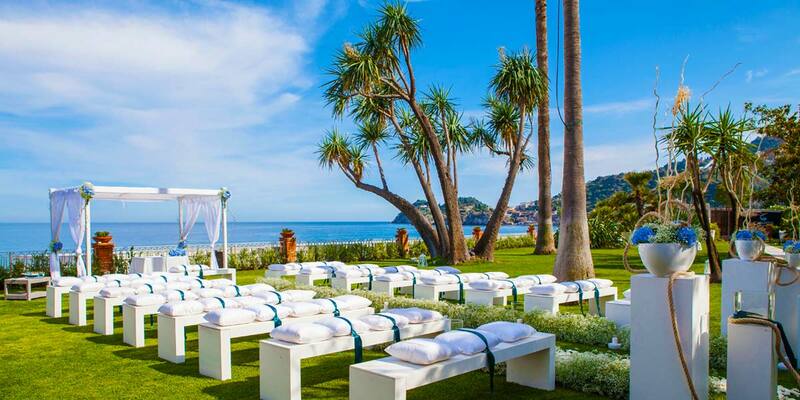 For events with a beach requirement, you can request the beach terraces of Diodoro's sister hotel, Caparena. 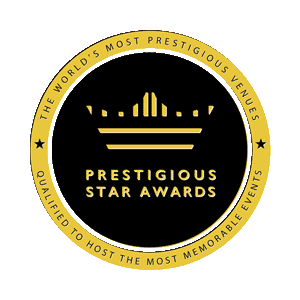 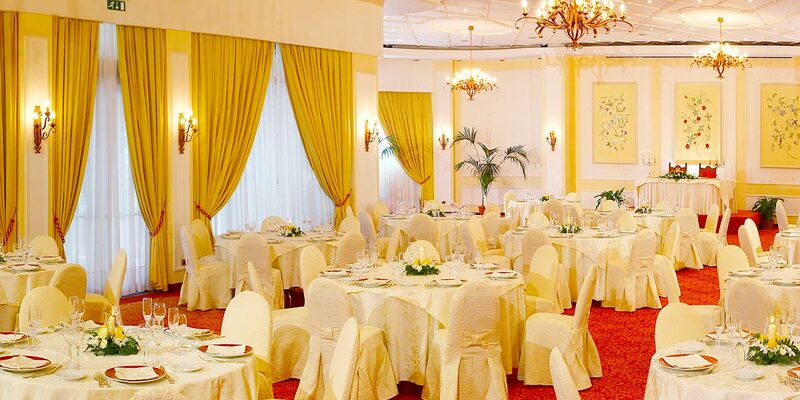 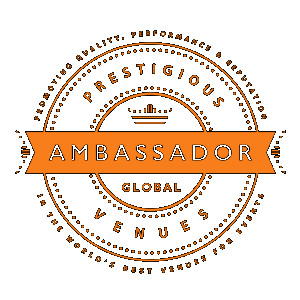 In conclusion, the venue retains its historic roots as a place of elegance and exclusivity. 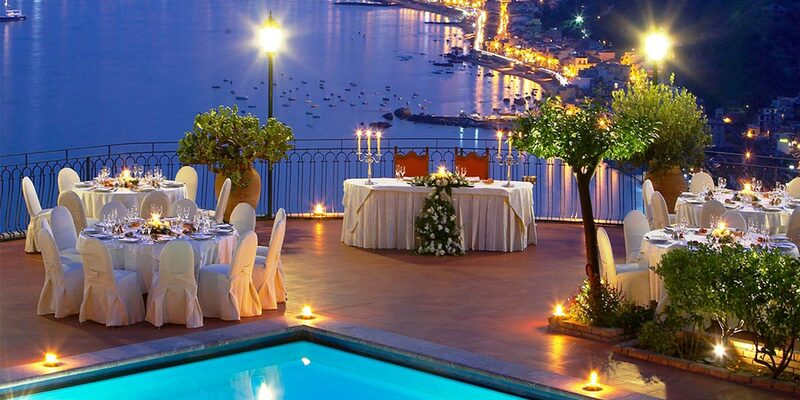 Here, simple pleasures are transformed into unforgettable experiences. 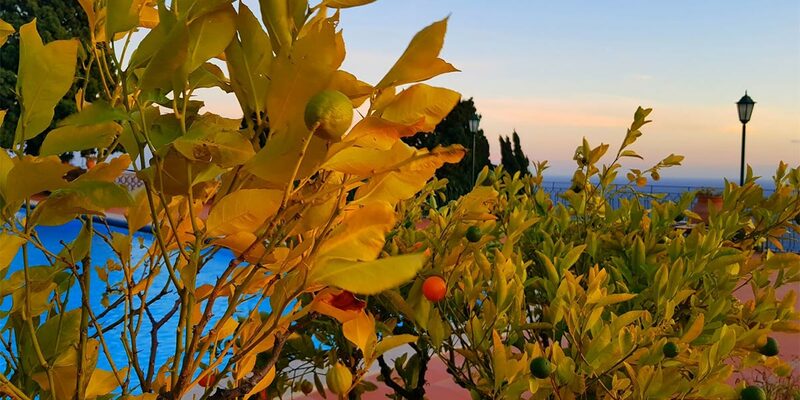 The Hotel Villa Diodoro event spaces are surrounded by a backdrop of extraordinary beauty and offer stunning views from every angle. 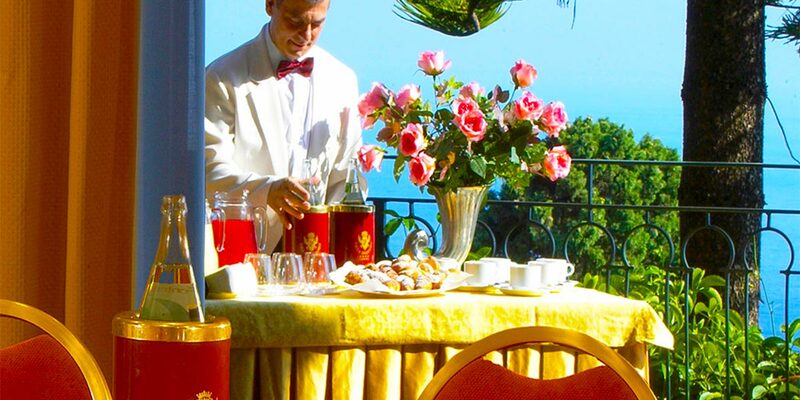 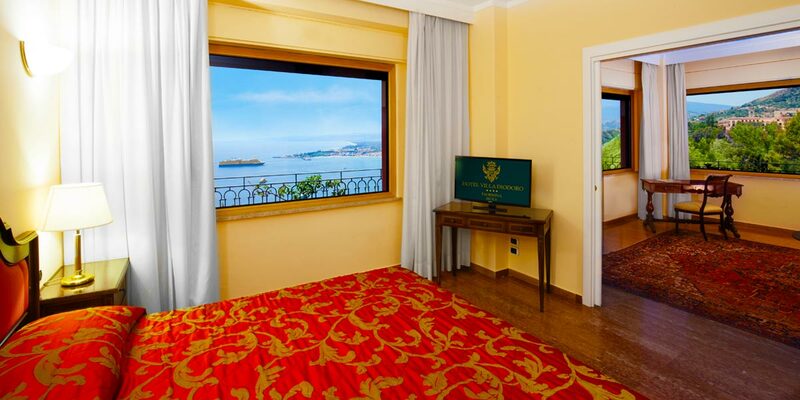 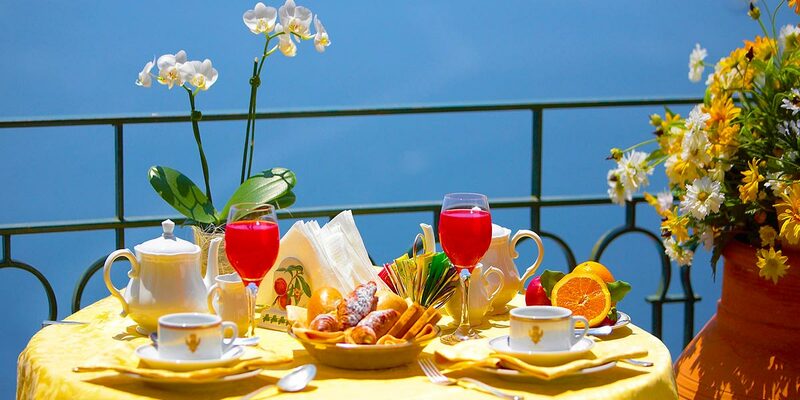 Ultimately, you will enjoy the true Sicilian art of hospitality and the authentic Italian dolce vita. 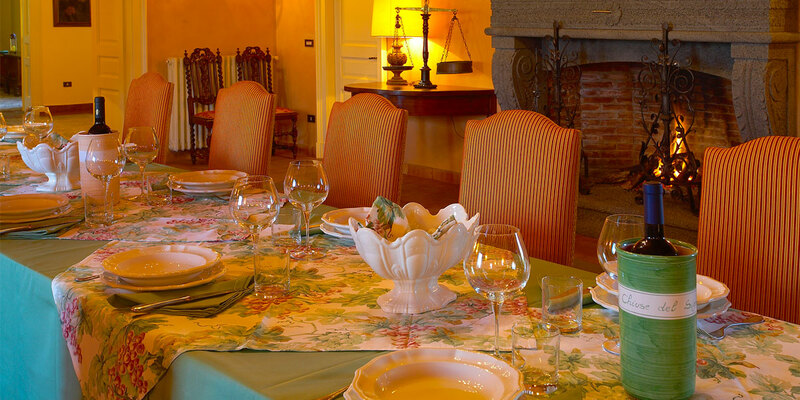 Hotel Villa Diodoro has over 100 years of history. 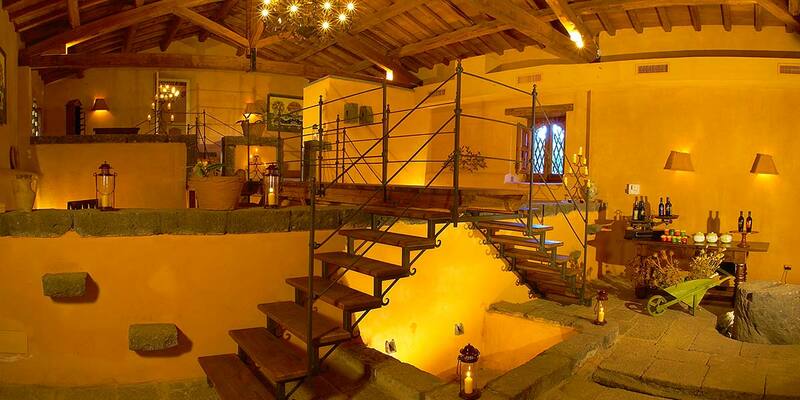 It was named after the Greek historian Diodoro Siculo, a well-known character who once lived in the old town. 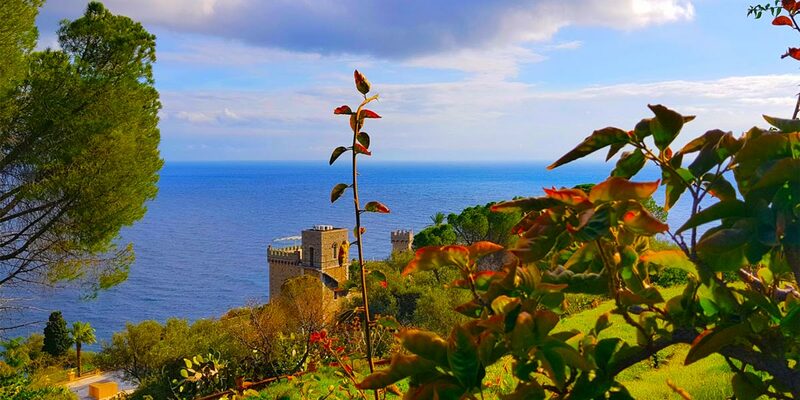 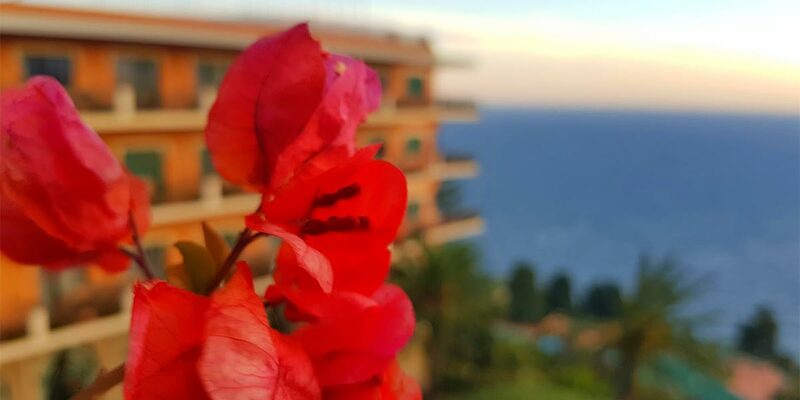 Diodoro was known for his stories about distinguished travellers from all over the world who visited Taormina to experience its beautiful views, rich culture and bewitching art. 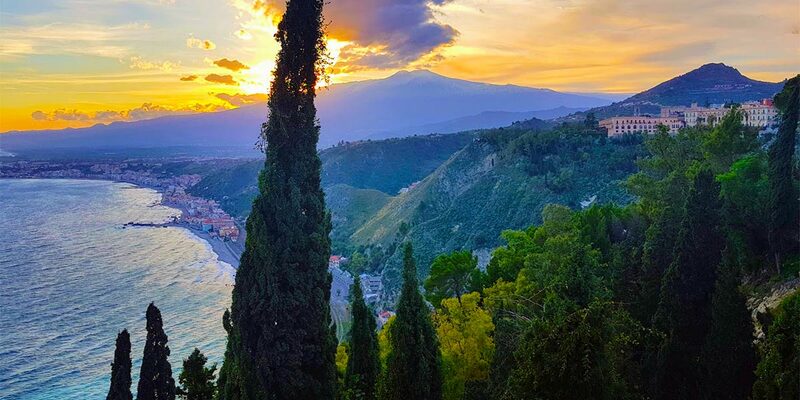 The present town of Taormina occupies the original ancient site that was founded around 300 BC. 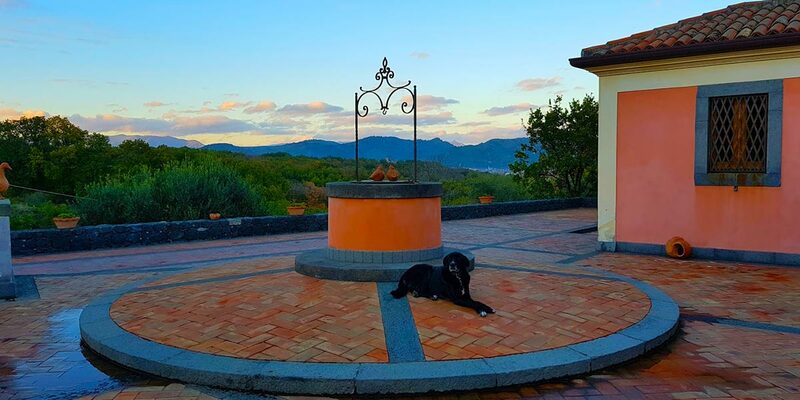 The location was thought to have been selected for its commanding views and because the hill it is located on, is the last projecting point of the mountain ridge that extends along the coast from Cape Pelorus. 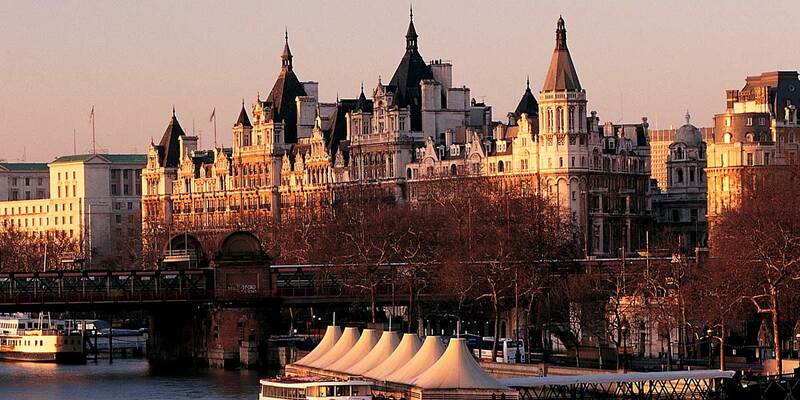 Many famous names have visited and lived in the town including Nietzsche, Bertrand Russell and Roald Dahl. 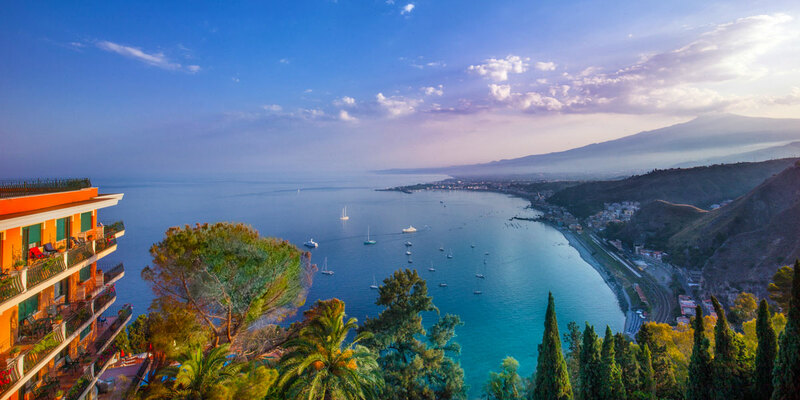 DH Lawrence also lived in Taormina between 1920 and 1923. 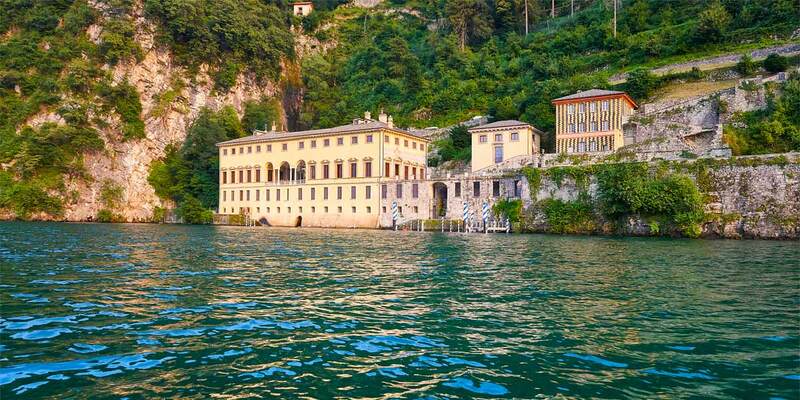 Here he produced a number of poems, novels and essays as well as the book 'Sea and Sardinia.' 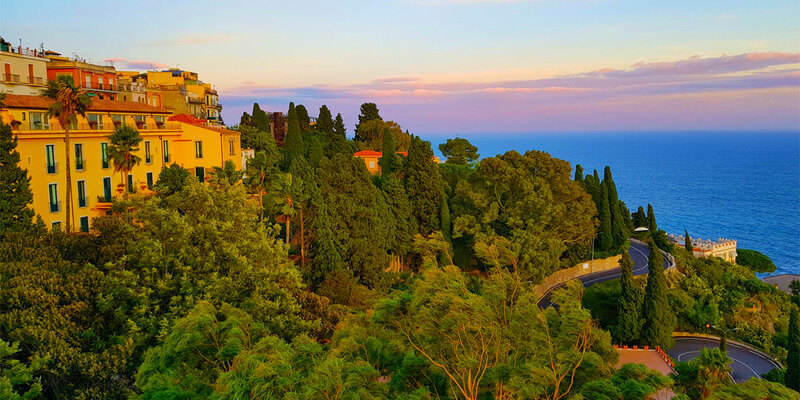 The town is accessible from the coastline via an aerial tramway that was built in 1992. 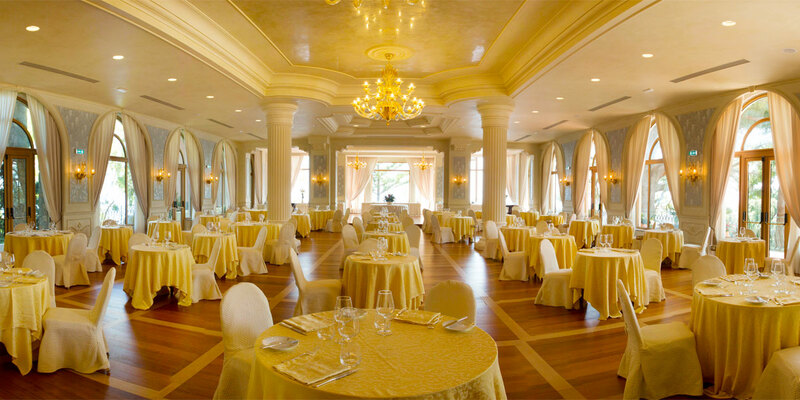 Diodoro maintains many of its classical features in respect of this rich heritage that it has inherited over the years.